As a Website Tester, your job is to make sure websites are very easy to navigate. This is a major struggle for me as a website owner, to make sure my visitors can find the content they are looking for. When building a blog, it's always great to have a fresh perspective of your site from a new visitor. 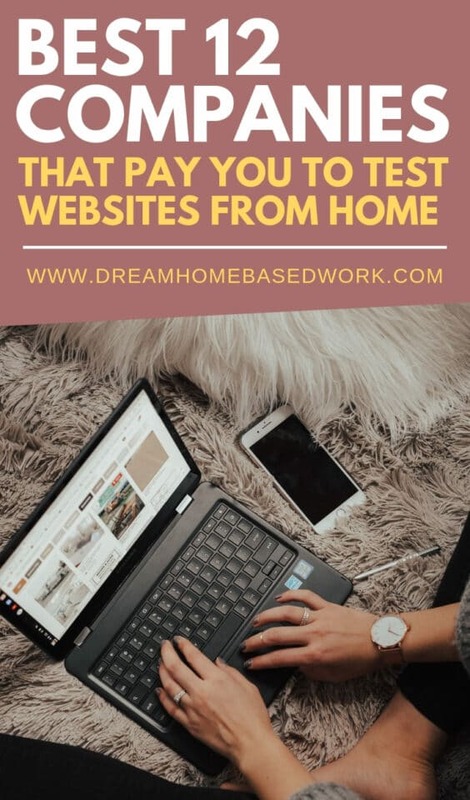 Read on to learn more how website testing is one of the easiest ways to earn money without leaving your couch. FlexJobs is also highly recommended. With an A+ rating with the Better Business Bureau, with a money-back guarantee if you are unhappy with the result, this job portal assures that every job posted is 100% legit. What exactly does a Website Tester do? A Website Tester is someone who gives their opinion about a random website. Some companies may require you to install software, which will enable your activity to be recorded. You may be informed to speak about the design of the site, quality and ease-of-use. Some sites will even require a webcam – I personally use an inexpensive brand called Logitech HD Pro Webcam that I purchased on Amazon. You should also be able to speak basic English and have good writing skills because some companies may ask you to write a small report after each completed test. Need a better option to earn some quick money at home? 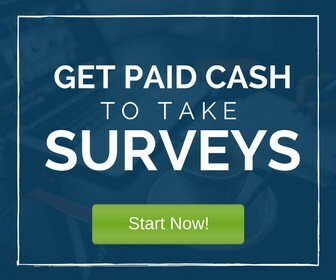 Take online surveys now! InboxDollars will give you cash for sharing your feedback. Earn $5 when you sign up to them! UserTesting – Read Review– This company is currently hiring website testers nationwide. You are rewarded $10 cash for every 10-15 minutes test you complete. No webcam is needed. Whatusersdo – Pay is $8 or more via PayPal. A test takes around 15-20 minutes to complete. You must have a Mac or PC, Internet access and microphone. UserTest – Pay is $10.50 per test study. It's completely free to join and only takes 5 minutes to become a qualified tester. Enroll – Get paid to test websites before they are published. Earn cash rewards. UTest – This company offers a variety of website testing opportunities. UserFeel – This company pays around $10 per test. Start Up Lift – Website tester jobs available immediately. You are paid $5 per test via PayPal. Analysia – Test takes around 15 minutes to complete. Pay is $10 per test. TryMyUI – Tests takes around 15-20 minutes to complete. Pay is $10 per test. Userlytics – Both webcam and microphone are required to complete test. Pay is $10 per test. Amazon Mechanical Turk –Read more– This company is owned by Amazon. It offers Website Tester jobs, but the pay may be much less than the others on this list. Testing Time – Get paid to conduct user testing studies. You will earn up to $50 per test, paid via Paypal. Interested in making money as a product tester? Top name-brand companies are paying up to $125 for your opinion. Click here for a list of product testing sites. Searching for Several Companies that Hire Website Testers? If you are still searching, check out the highly recommended FlexJobs. This membership site has a wide selection of hand-picked job listing from reputable companies. The monthly fee is only $15, and you can customize your account for one-month use just to see and observe if you like it. FlexJobs has a money-back guarantee after thirty days if you are not satisfied with their website. Visit FlexJobs to find which website testing jobs are actively hiring now. P.S. Please subscribe for FREE to find work from home job listing updates. You can also follow my Facebook page or YouTube channel! I provide lots of up-to-date work from home career choices, job listing, and video tutorials every week. Hi! No Rachel. It’s should be UserTesting. Has anyone out there tried test IO for website testing? Really learned of new website testing sites from this post. Thanks for sharing. Well, Analysia doesn’t work anymore and you can hardly get any jobs on TryMyUI, Userfeel and TestingTime. Validately is a good new option that pays around $5 to $10 per test. Ms Shay American Consumer Opinion is a Lottery Scam. You might want to take them off your CREDIBLE website. !!! It is a Lottery Scam !!! How did you find out about them in the first place ???? Hi, Cindy! ACOP has been around for years and has been known as a legitimate survey site. What type of experience did you have? Hi, Diana! 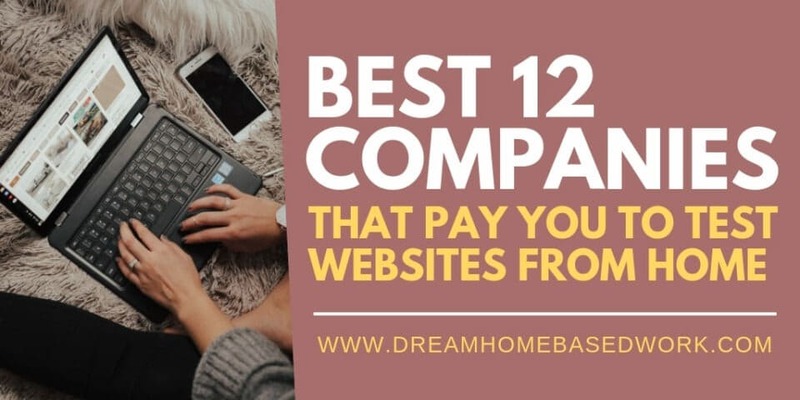 There are several extra money sites listed here https://www.dreamhomebasedwork.com/25-simple-ways-to-make-money-online/. uTest is absolutely awesome. They have an active and super helpful community. The initial months may be slow. But apparently patience pays off on uTest big-time. There are people I have spoken to who are working full time for uTest. I am yet to join other sites and see how they are. Thanks for sharing your feedback about UTest. To be honest, most will require you to keep track of your own earnings. The companies probably won’t issue you a 1099 form since you are receiving payments via Paypal. However, Paypal does issue them out, just in case the company does not. For Paypal to issue out your 1099, do you just contact them some how at tax time and ask for them to mail you the form with all the information needed to give to your tax man about each business you’re working under? I do believe I have visited your page every single day for over a week now! You do awesome work and have awesome, reputable content. Something I should probably already know as much as I visit, but do you update every week, or twice a week, or 3…LOL I just want to be on top of it the on the days you update? (Heck you may not even have a schedule….but i’m a newbie )…okay and heads up about FEEDBACK ARMY, I went to the page and it says they are now closed. But hey Lashay, thank you for making this website of yours, I love it!!!! Hi Jessica! I really appreciate you being a regular visitor to my blog 🙂 Honestly, I try to update the content once every few months, therefore I’ll make sure this list is update with the latest website testing jobs. Thanks a lot for the heads up! Are there any work from home opportunities in the area of accounting? If anyone knows anything legit. lashay, I’m inspired by your site; continue your good and impressive work!!! God Bless You!!! This one does not work, link http://usertesting.go2cloud.org/SHI opens blank. Hey, I am interested of doing some tests like this. Is it possible to do testing from Bangladesh? Any suggestions will be appreciated. Hi! Yes most of these companies are open to members worldwide. I have been using Usertesting.com for a few months and I am able to complete a few tests a month. It can be a bit hard to qualify for tests since they are looking for such a specific set of qualifications to complete each test and there is a screener test that needs to be taken first. Other then that the tests are easy to complete and the pay has always been right on time. They pay the money in exactly 7 days (to the minute) and I have never had a problem so far. Just a side note that this is not a way to earn a full or even a part time paycheck. This is a way to earn maybe an extra $50 a month (if you are lucky). I am going to be applying to all of the other sites so that I can try to make a bit more at least until I can get a real part time job. It would work well for a teenager, collage student or a stay at home mom who just needs some extra spending money. Is User testing site available for Indians to work on? I was informed that UserTesting recruit people worldwide. You can definitely submit your app for consideration. I am an active tester on both uTest and UserTesting. The work is very interesting and fun. I made $350 in my first month, but I know the income will increase as I am starting to get more tests and building my tester rating. I went from getting one test per week to 1 every other day (on average) with tests sometimes coming in back to back a few days in a row. Also, once I earned a rating, I qualified for longitudinal tests that pay way more and a bonus on top. Tests are of various nature, some pay $20 per 20 minutes testing, which is rare. Most are $10 for a 10-20 min website or app review. Then there is app testing, which pays more and involves downloading an app and using it in a specified way. I also am on YouEye but tests are not coming as often, and they pay $10 not $12 as mentioned in the article. I just signed up for it it wont let me get the recorded software to speak our opinions.I have a hp chromebook ios. I try this out it ask for a promo code? were you get it? Promo code? Which site is asking for that? can you get paid by check? Most of these companies will only pay by Paypal. It’s much easier since they recruit worldwide. hello Lashay…i wanna do the usability test but presently not in usa but in Nigeria. which one can i do? I’m very interested in this. How steady is the work? So much testing per day/month? To be honest, the work is not steady enough if you sign up with one company. You will be able to get more testing opportunities if you register at multiple sites. I signed up for a few of these websites and so far, UserTesting.com seems like the most legit. Their app works great and the tasks were easy to perform. Since I signed up recently, my first $10 payment is pending. Will add more details once I get paid. How long does it take to do one task? does another one follow up afterwards? Hey!It usually takes no more than 15 minutes to complete. It really depends on the company if they will send you another test right afterwards. I can say that WhatUsersDo usually send 3 or 4 out per month. I just signed up, I’m really excited and can’t wait to get paid. Hi Emily! I think this list of companies will be a help to you. https://www.dreamhomebasedwork.com/international-work-at-home-jobs/. Most of the jobs provided are open wordwide. what did you do have you made any real money? I have personally made money on Whatusersdo. There are not as many wesbite testing opportunities available on a regular basis, so making REAL money is not realistic for the site. I have heard Usertesting is better, but I haven’t tried them yet. why are these comments so old no new update comments here? Hi Lisa! There was a comment on this post from two weeks ago below. Did you need assistance? My first test took about 5 minutes but as Lashay H. said, it does take about 15 minutes per test. But $10 for 15 minutes of work is really great money.